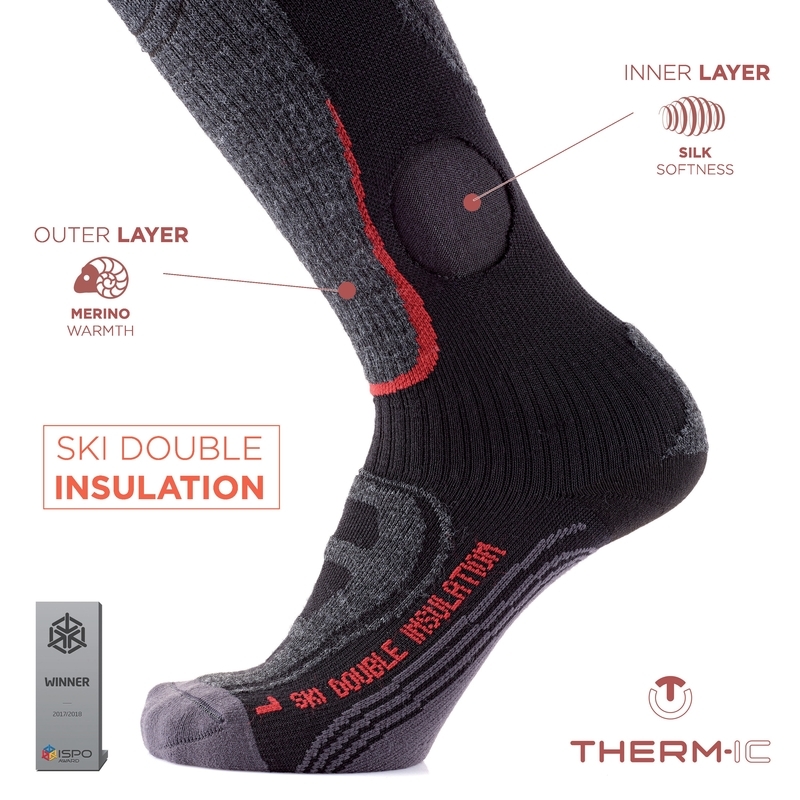 Innovative socks consisting of two layers of fabric for excellent insulation against the cold plus protection from rubbing and the resulting blisters. The exclusive two-layer fabric is the promise of an exceptional technical sock. An initial inner layer in thin, soft and insulating silk. A second outer later in warm and soft merino wool. Its anatomical shape offers a perfect fit for left and right feet. With this sock, you’ll experience the comfort of the double inner skin and the high-protection insulating hold of the outer layer.